Due to what the city deems unacceptable levels of pollution in its water supply, the Des Moines [Iowa] Water Works announced it will sue three neighboring counties – Sac, Buena Vista and Calhoun. The suit is an unorthodox attempt to control levels of fertilizer runoff from farms, which for years has gone largely unregulated. Nitrate runoff can be a health risk, and it’s difficult to remove from water supplies, according to National Public Radio. Bill Stowe, general manager of the Des Moines Water Works, told NPR that "we are seeing the public water supply directly risked by high nitrate concentrations." In 2013, the Des Moines Water Works spent approximately $900,000 filtering the materials from the city’s water supply, NPR reports. At a meeting last week to debate what should be done regarding the water supply, several community leaders applauded the decision to sue. "Farmers who pollute need to pay for the cleanup. 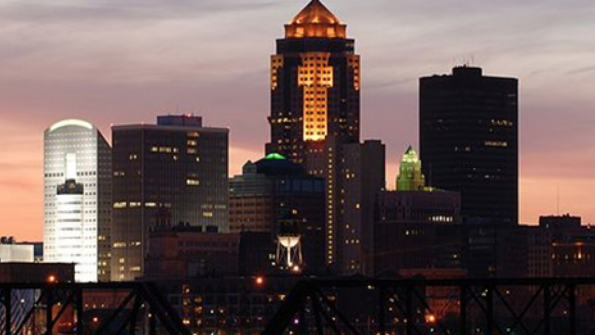 Not the 500,000 people in this community or other communities,” Barbara Lang, a member of the Iowa Citizens for Community Improvement, told The Des Moines Register. The lawsuit will target several drainage districts that feed directly into the North Raccoon River that are managed by the three counties. And while financial compensation will be demanded, it is not the ultimate goal, according to the paper. "We're not out there to seek damages," Graham Gillette, chairman of the waterworks board, told The Des Moines Register. "We're really out there to seek this permitting and regulatory process. This isn't about us recouping losses or protecting our individual asset. It's about protecting Iowa waterways." However, not everyone agrees litigation appropriate. In a statement, Iowa Secretary of Agriculture Bill Northey called the suit "the wrong approach to address the important issue of improving water quality." "It continues the negative, antagonistic and unproductive approach by the current leadership at Des Moines Water Works," Northey wrote. "Working with farmers and investing in additional conservation practices are what is needed."